From zero to hero - mastering Yoshimitsu guide - are you interested? I've been thinking for a long time to share my knowledge with you. 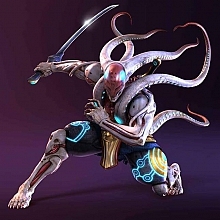 How about a step-by-step online Yoshimitsu guide? Do you think it should be shared to the public or maybe only for registered Manjikai users? By the way, I have plans of upgrading the site during Christmas (newer engine, less bugs, new capabilities, new skin) so I would start my series of articles around December. I'm very much interested in the making of the guide and its result. I'd suggest to release it first to registered manjikai users and perhaps after a good while, release it to public. I would love to be any part of this that I can! I vote to make it for all registered users. Thank you for feedback, I'll certainly ask you for help when the time comes.